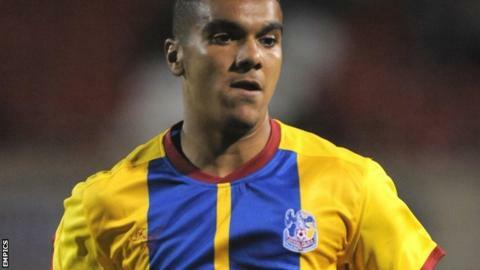 Cambridge United manager Richard Money has said he is determined to secure a new loan deal for Crystal Palace striker Kwesi Appiah. The 23-year-old arrived at the club on 13 September and his current loan spell comes to an end on 15 December. Money told BBC Radio Cambridgeshire: "All I can say is we'll do everything we can to bring him back in January. "It's just unfortunate that the loan rules mean that he can't play for us in the next three or four games." Appiah has scored 10 goals in 14 Conference Premier appearances since joining the club on loan on 13 September. The maximum loan period is 93 days, and Appiah will not be able to rejoin the U's until the transfer window opens in January. The 23-year-old scored twice in his final home game as the U's beat Macclesfield 3-0 in the Conference Premier. He was given a standing ovation by fans when he was substituted in the 87th minute. "I thought it was important to bring him off before the end," said Money. "It was important for the supporters to appreciate what he's done for us." The U's boss said the striker's departure would give someone else the chance to "to step up to the plate". He said: "Now we've got [Josh] Gillies, and with [Harrison] Dunk to come back it may be time to get him up the top. "And I really don't think [Ryan] Donaldson is too far away from a return."